The Venus Viva™ is the ultimate solution for facial rejuvenation and is the latest Venus Concept product to hit the market. What kind of skin type the treatment addresses? 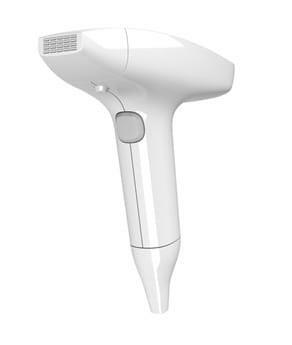 The Venus Viva™ is safe, non-invasive and suitable for all skin types. Unlike most other skin resurfacing treatments that are not safe for darker skin tones, Venus Viva™ is safe for all ethnicities, even for darker complexions. One Venus Viva session could lead up to 60% improvement in fine lines, scars, and pigmentation problems on face and neck (seen after a series of 3 treatments). Frequency™(RF) and SmartScan™ technology that delivers superior results through selectional dermal heating process. The patient will be completely numb prior to treatment. This will provide the patient with minimal discomfort felt during the treatment. What is the NanoFractional Radio Frequency™ (RF)/ SmartScan™? The use of NanoFractional RF™ delivers energy deep in to the dermis generating heat and initiating skin changes, remodeling collagen and causing the tissue to regenerate thus producing a fresher younger looking skin. While the NanoFractional RF™ applicator, can address indications not treated effectively before by other fractional RF devices, the patented SmartScan™ technology allows for greater depth of penetration, flexible treatment sizes, and safer, more improved energy delivery for highly visible results. Upon arriving at the office the nurse will assist you in applying numbing cream on the entire treatment area. This is a specialty compound of medication to ensure maximum possible comfort the entire treatment. Treatments take approximately 20 minutes, patients can expect to see smoother, clearer and younger looking skin after one treatment but full results are seen after a series of three treatments are performed. 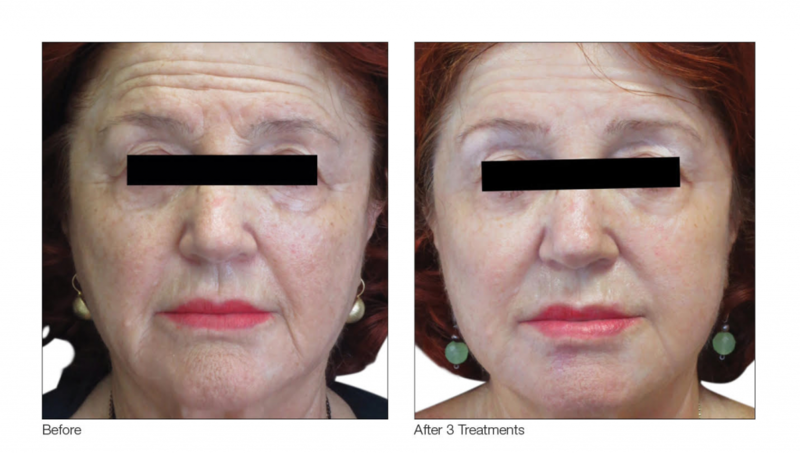 What are the benefits of Venus Viva Nano Fractional Skin Resurfacing? 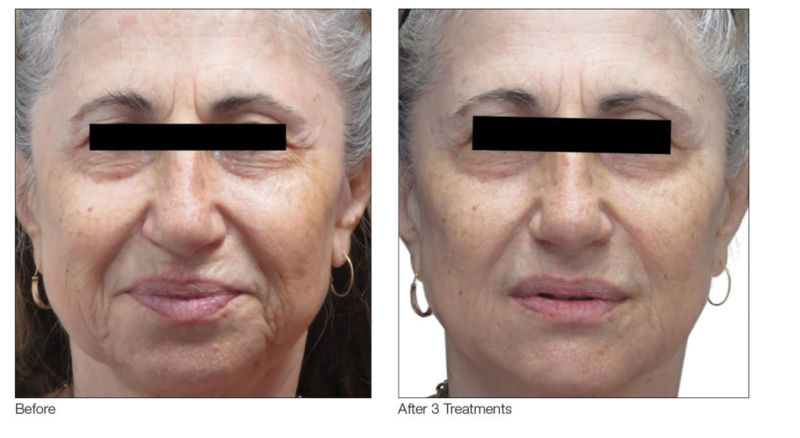 Long-term collagen stimulation and regeneration for lasting results with minimal maintenance. Do not apply any lotions, creams, perfumes, powder, or makeup before your treatment session, and avoid tanning. Remove all jewelry around the area being treated. If you have excessive hair on the treatment area, shave it beforehand. It also helps to be prepared with information about your medical history—the technician will likely ask about it. Shortest downtime is less than 24 hours. The Venus Viva allows you to continue with daily activities immediately after a treatment with very little social downtime. Some people experience redness for 2-5 days following a treatment, however, makeup can be applied to cover up any redness 24 hours after a treatment. If your skin feels hot, you can use a fan to cool it down. Avoid touching or scratching the treatment area. Do not put lotion, makeup, or anything else on your skin, including water, for 24 hours. After 24 hours, you should apply a moisturizer, preferably one without chemicals, such as Santé Dermal Repair Cream which is carried by our office and a sunscreen (at least SPF 30). Avoid rigorous exercise and hot baths or massages on the treatment area for the first 2 days after your session. Make sure to keep your skin clean and protected from the sun. Avoid any sort of tanning.